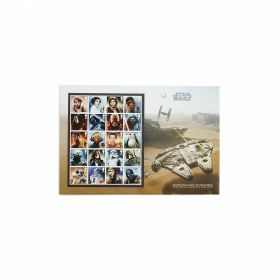 This striking item comprises all 12 Special Stamps, individually mounted within an evocative backdrop of Luke Skywalker on Tatooine. 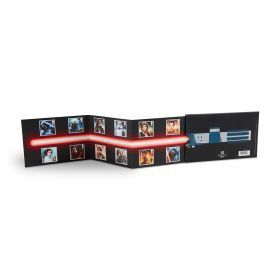 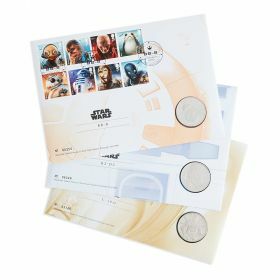 This striking item comprises all 12 Special Stamps, individually mounted within an evocative backdrop of Luke Skywalker on Tatooine, complete with the Star Wars logo. 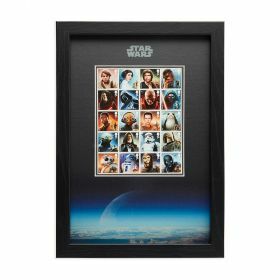 Framed in black ash effect and handmade for Royal Mail in the UK. 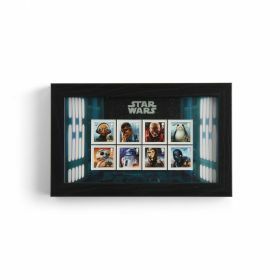 Dimensions W 43cm x H 27 cm.